Starbucks has long been considered one of the top companies to work for, with benefits for employees available for those working just 20 hours a week including healthcare, 401(k) matching, stock options, and more. While the company reports a commitment to diversity and inclusion, some employees (called "partners") are reporting that this ideal doesn't represent reality within the coffee giant. The company has already faced recent criticism after two African-American men were arrested at a Philadelphia Starbucks in April while waiting for a third friend before they ordered. 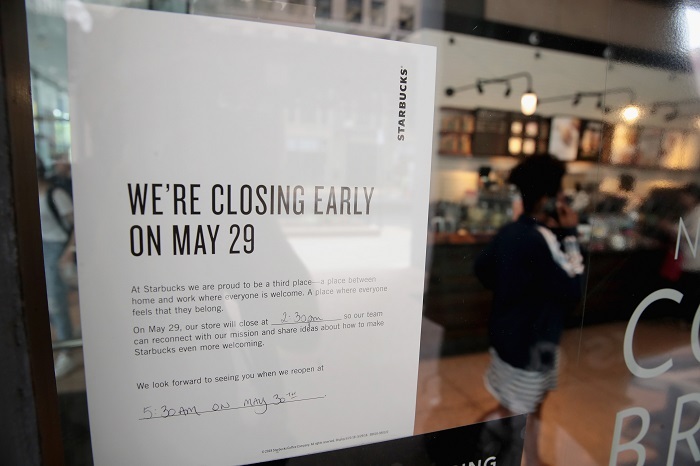 While Starbucks closed more than 8,000 stores across the United States for diversity training in May, even that was not without problems. Jewish groups were disheartened when Starbucks dropped the Anti-Defamation League's participation after originally asking for help, bowing to pressure from anti-Israel activists against having an organization that fights anti-Semitism involved in the training. The latest story is one originally reported by Huffington Post, detailing the reports of seven current and former Starbucks managers who allege that the company engages in age discrimination. In most of these cases, the Starbucks employees report bullying, pressure to quit, or even being fired which they felt was directly related to age. Most had been with the company for more than 10 years. One woman, Candice, age 42, worked for the company for eight years. She ran a high-earning store, was loved by customers and employees alike, and senior management had even noted her to be an exemplary leader in an email to all stores in her region. After an injury on the job, however, her boss issued her a corrective action form for not properly filling out the store cleaning schedule and shift schedule. Candice notes that she hadn't been informed of a new protocol for shift schedules, and that she kept diligent cleaning records that her boss had not signed off on for over 3 months, though the store's protocol required her boss do so every six weeks. Fearing for her job, Candice lied to her doctor about feeling better and returned to work. Her district manager, a younger woman, began showing up regularly at the store to complain that it was dirty, despite receiving a 96.8% score on the company's quality control inspection. Additionally, her boss began asking employees to rate Candice's performance every six weeks. One former barista noted that the feeling was that the district manager was trying to "find some reason she could use to fire" Candice. A colleague told Candice that when another older woman in their district was demoted, their boss said "one down, three to go," referring to Candice and the two other store managers over age 40 in their district. Candice complained to HR about her boss' behavior, and it was revealed that another employee had also complained about the district manager. The HR investigation concluded that while her boss did make the "one down, three to go" comment, she just needed coaching without any other consequences. In the end, Candice was fired and replaced with a younger employee. Former northern Virginia Starbucks district manager Kelly, age 60, also believes she was let go due to age discrimination. She had worked for the company for 13 years and reports being promised by a number of bosses that she would receive a promotion. She even moved to Seattle for six months to work on a project at the company's support center to gain more experience and responsibility. Unfortunately, she watched over and over again as promotions when to younger employees. When she asked if she could start a community group for older Starbucks staff, like the already existing groups for veteran, LGBTQ, and black staff, she was told that she could not. She was later fired. Starbucks has not been immune to age discrimination-related lawsuits in the past. In 2015, a Pennsylvania woman filed a lawsuit against Starbucks for civil rights infringement and wrongful termination in June 2014. The plaintiff, Chong Ja Kim-Cohen, was 63-years-old and had worked for Starbucks for 15 years when she reported being fired without cause and being replaced with a younger employee. Another former Starbucks employee, Margaret Hobson, age 65, also filed a lawsuit because she believes she was unfairly fired due to her age. Before being fired, she had worked at a location in Maryland where her manager told her, "you seem to be slowing down. Is this too much for you?" She was let go after 7 years with the company and replaced by two younger employees. Experts report that workplace age discrimination is certainly far from unusual, but that it is often hard to prove since employers try to mask their reasons for firing older employees. Older employees can cost the company more in terms of health insurance as well as salaries. Younger employees typically are cheaper to employ and use their health insurance less than older employees. Both current and former Starbucks employees have said that they feel that the company is shifting their values from seeing staff as human beings to treating them as disposable commodities. As with many companies, employees report that they are expected to accomplish more tasks in less time. 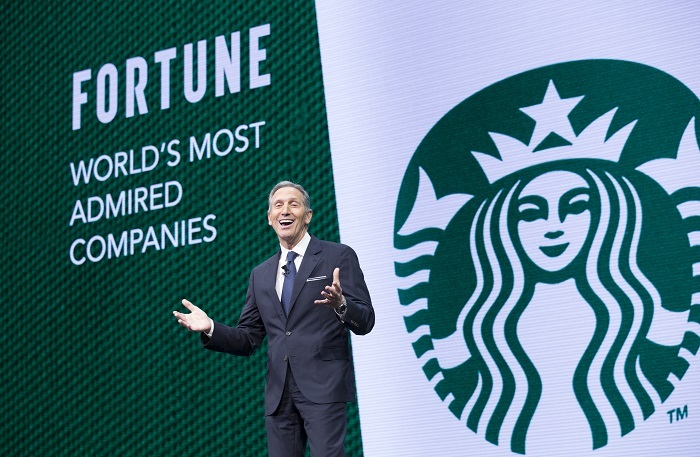 The employees interviewed by Huffington Post say that "In the past five years, Starbucks has seemed intent on replacing older managers with younger, lower-paid workers who will tough out long shifts, take on greater workloads and cost less to insure." A spokesman for Starbucks has responded to the allegations, "We have zero tolerance for any sort of harassment of any kind and have a very clear set of guidelines when any time of harassment or discrimination claims like this are made." Nevertheless, several former Starbucks employees have noted that they have hired lawyers, filed EEOC complaints, and are pursuing lawsuits related to age discrimination within the company. iPhone users are now able to access Alexa via the iOS app. Amazon announces Alexa voice control available to Apple users! Read about Apple and Amazon here!